Simple, yet stunningly beautiful. 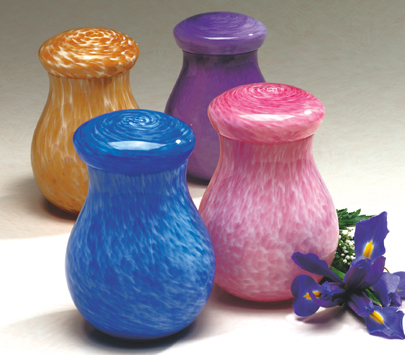 Handblown and crafted by skilled artisans, no two pieces will be alike. Contemporary colors include Cobalt Blue, Pink, Salmon or Violet. Due to the nature of the material used, glass colors may vary slightly than shown here. Closure: Top Opening/ May be sealed with adhesive (not included).